We are so pleased to add this delightful new curtain "Hazel" to our outstanding collection of wood beaded curtains! Using mixed shaped beads in contrasting colors, this curtain has a striking pattern that immediately adds interest & flair wherever it's displayed! 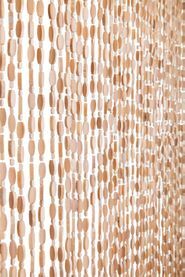 Beaded curtains add lots of texture and style and are the perfect item to use as room dividers, wall hangings or for a backdrop for parties and stages. The natural colors blend with so many Decors and the ease of hanging them straight out of the box make them a quick way to dress up any room - hanging loose or tied back! The black head rail is 35.25" wide and has 2 eyelets for immediate hanging. 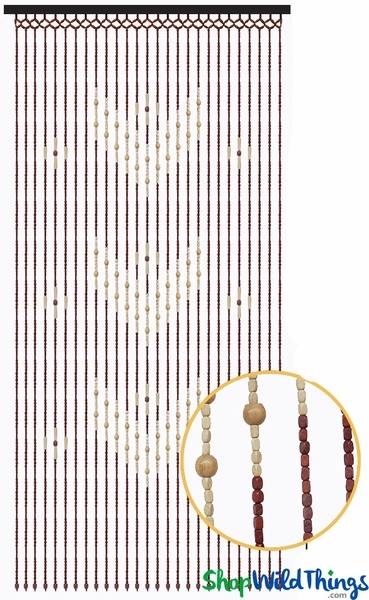 There are 27 strands, spaced about 1.5" apart and the eye-catching pattern is created from beige, brown and charcoal black wooden beads. The entire curtain is 70" long and the bottom of each strand is finished off with a brown wooden bead. Natural materials are not perfectly exact so expect some slight variances in the strand lengths. 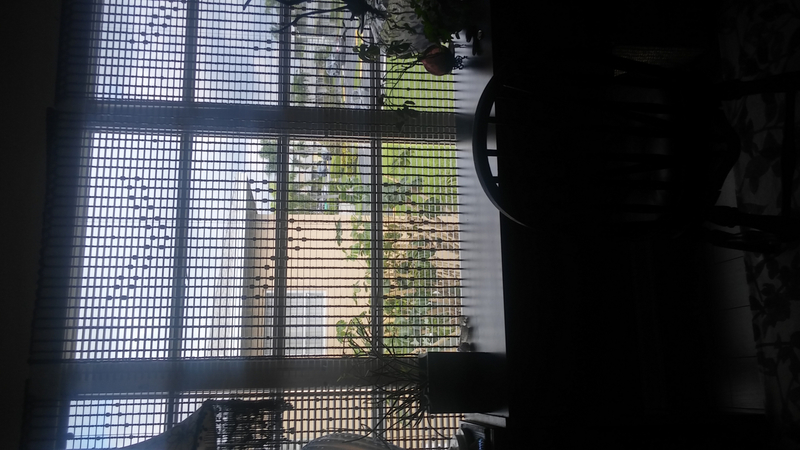 I use them as a window screen in my living room...i had 2 and needed 2 more to match...the pictures and descriptions were accurate and i received them quickly. Pleasant company, i reccommend!